We all want to look great, and in order to do so, we buy anything and everything that says it will enhance our beauty and mend our problems, but the truth is that most products just mask the issues, or temporarily fix our beauty concerns. Many products out there are mass produced at high speeds, high temperatures and without healthy considerations, leaving us shopping in a hot bed for chemical riddled recipes that can actually make our dilemmas even worse, irritating the focused areas and stripping us of our body’s natural exterior defenses. 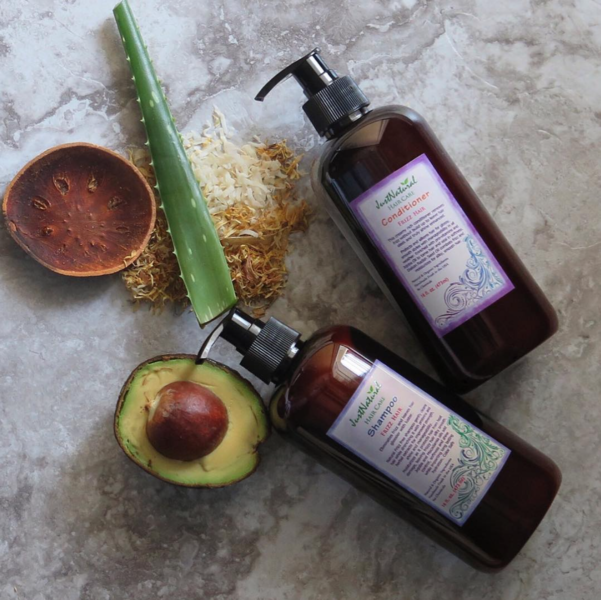 More and more beauty-conscious shoppers are making the shift to health-conscious products, full of natural ingredients and handcrafted with love for a better well-being. It is not only what we put inside our bodies that matters, but we use on the outside as well. The skin is our largest organ, absorbing any and all topical solutions, so we want to make sure that what we’re slathering on our problem areas is healthy and not actually making the problem worse. Using natural beauty creations helps ensure concerns are treated with care and more importantly, using natural ingredients addresses the root of the problem, instead of temporarily weighing the issue. Just Nutritive does just that. It goes right to the root, the core of the issue if you will, and attacks the problem at the source, instead of tip-toeing around the culprit. Just Nutritive is a natural-based line of skin and haircare that nourishes the body with numerous natural ingredients like essential oils that treat and feed your body’s natural chemistry. Just Nutritive products each smell like a vat of essential oil nutrients when you dispense the solutions, and with that, you feel better about what you’re putting on your scalp and your skin. Just Nutritive created products for all skin and hair types that can be used daily and should be used often for best results. These products are handcrafted, down to the labels placed on each bottle, so you can be sure each concoction contains skin and mane-loving ingredients that sometimes change in color and consistency because that is nature’s way. 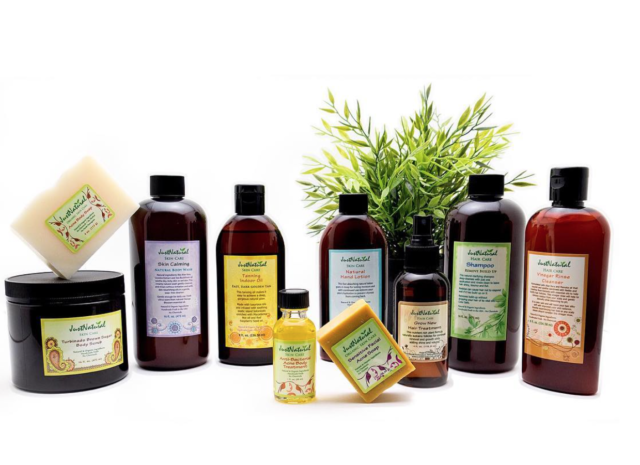 Every bottle is recyclable and contains no toxic chemicals that could be harmful to the body. Our experts at MyTopFace tested out many of the Just Nutritive products, and we are loving the natural capabilities of every solution. Each product smells of natural goodness and does exactly what it was created for. Most of the products we tried were for hair, but we gave the skincare a bit of a whirl as well. After each use, we felt better and healthier breathing in the natural scents and pampering ourselves with the Earth’s goodness. With so many Just Nutritive products in our repertoire, we’ll start by telling you a little bit about the shampoos we tried. No one on our team currently has Psoriasis of the scalp, but one of our expert’s father’s who suffers from Psoriasis used it and he loved the way the Psoriasis Shampoo treated his scalp. Our experts did try the Remove Build Up, Oily Hair, Thick Hair, and Itchy Scalp Shampoos. And, as avid users of the Neutrogena Clarifying Shampoo to remove any excess hair treatments, sprays, and leftover conditioners, we were pleasantly surprised at how comparable the Just Nutritive Remove Build Up Shampoo was. It stripped our hair of any residual product buildup, but still left our hair feeling vibrant and touchable. While the mass-produced Neutrogena one removes build up, but also strips your hair of its natural oils causing hair to feel brittle and leaves you reaching for extra gobs of conditioner, adding more buildup, and defeating the purpose of the shampoo in the first place. The Oily Hair Shampoo, made with a similar purpose, rids strands of excess oil buildup which can make hair look slick and unclean while leaving hair moisturized and bouncy. Most of us at MyTopFace have pretty thick hair, but there is also the Thicker Hair Shampoo we tried, for fine, lifeless hair to give it a little volume. Though we can’t say how it helped the weaker strands, we can say it made our thick hair have more bounce, body, and all-around strength. The Itchy Scalp Shampoo soothes the scalp with natural oils, proteins, and extracts, calming the itch and getting you back to your daily routine without all that scratching. Not to mention, the money you’ll save on fingernail maintenance. 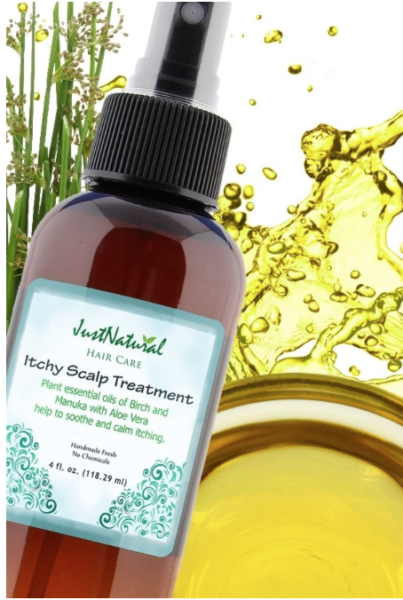 For those with a bit more of an itch up top, you might also want to try the Itchy Scalp Treatment, a spray bottle for the scalp made with Aloe Vera and essential oils to be sprayed directly on the scalp and left to penetrate the surface. It should not be massaged into the scalp, no matter how much you might want to. Another problem that can lead to an itchy scalp is Dandruff. 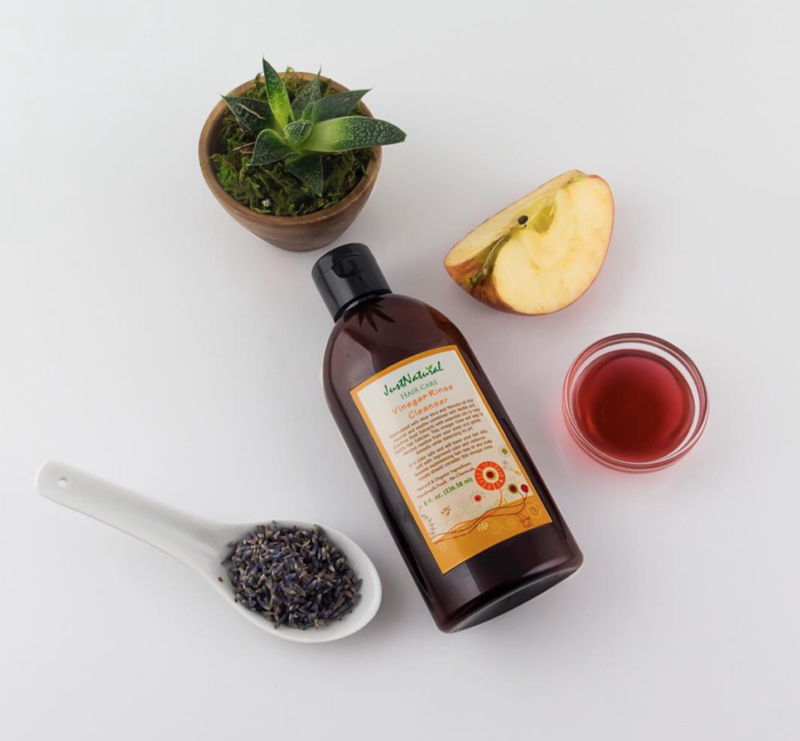 The Just Nutritive Vinegar Rinse Cleanser for Dandruff smells just like a bottle of Apple Cider Vinegar, the trendy new natural cure-all found in your kitchen, but when used daily for 15 days, it can help improve the health of your scalp. This smelly vinegar cleanser should be used after shampooing and before conditioning your strands. 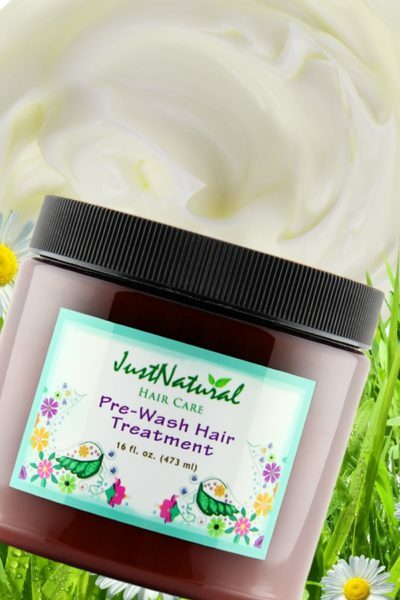 Finally, we also tried the Just Nutritive Pre-Wash Hair Treatment. This treatment is perfect for color-treated hair that has lost its life and diminished its quality from over processing and harsh chemicals. This acts as a pre-shampooing and conditioning hair mask that adds moisture and shine to strands that have gone straw-like. The treatment is thick, and almost cottage-cheese like in consistency with a neutral scent, and can be left on the hair for 15 minutes or longer for deeper hydration. The Pre-Wash Treatment will give your daily conditioner the added moisture boost it needs to revive your damaged hair. After using your pre-wash and shampoo, you’ll want to top it all off with a satisfying conditioner that won’t leave residue in your mane. Our experts tried the Just Nutritive Frizz Hair and Extreme Dry Hair conditioners, and luckily, or not so lucky, however you view it, we have both. Dealing with thick, dry, curly and subsequently frizzy hair can be a daunting task, especially when styling it. 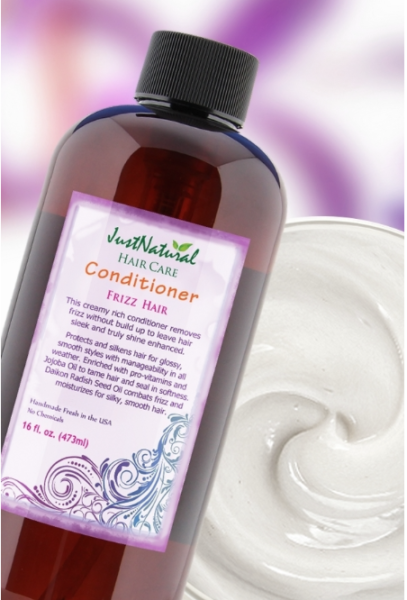 A lot of frizzy hair products out there tend to be overly greasy, leaving hair weighed down and oily, but this Just Nutritive conditioner tames those pesky fly-aways by silkening strands for a glossy, weightless finish. A lot of times hair can be become frizzy because of excessive dryness from over processing. So, we tried the Extreme Dry Hair Conditioner and we were so pleased with how moisturizing it left our hair feeling after only one use. Both conditioners allow hair to feel smooth and vibrant, without compromising body. Now, that we’ve solved a multitude of your haircare problems with Just Nutritive products, let’s move on to your skin. Our experts tried the Just Nutritive Daily Moisturizing Natural Body Wash and Natural Body Cream from the skincare line. We use both every day and were so delighted to find a body wash and after-shower cream that meshed so well together. The body wash is so gentle, keeps skin moisturized while leaving you feeling clean and fresh, and the body cream is the ultimate “body butter,” where just a little goes a long way. The cream leaves your skin drenched in moisture, intoxicating your senses with the essential oil aromas that make you feel healthier, refreshed, and ready to tackle the day. Just Nutritive also created the Kids Body Wash, that has a creamy, moisturizing lather and because it’s all natural, it’s safe to use on all your youngsters. And, just a quick beauty hack from our editor: Use the Kids Body Wash to clean your makeup brushes and even your toothbrush; its gentle and chemical-free. With great hair and skin, comes great accessories and Tofara jewelry is your best bet. You may have seen something wavering in our gif above, and that was only one half of our beautiful Tofara earrings. Tofara is a Shona phrase meaning “we are happy.” The brand is inspired by Africa, created by hand and aims to be seen as African Couture, and affordable luxury. The earrings featured below are one of many Tofara statements pieces we loved called the Pichuluk’s Curved Ball earring, admiring African sensibility and just a bit of vintage panache. 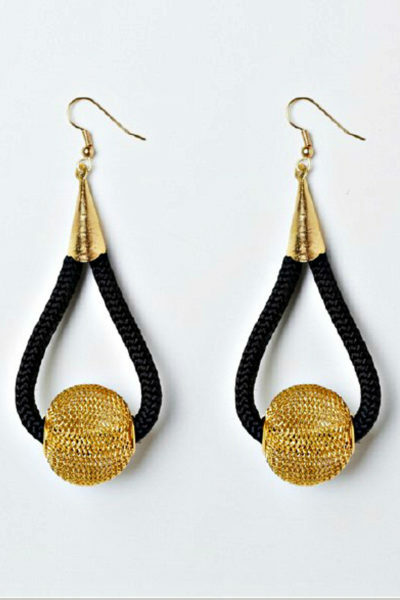 The pair is made with black rope and gold plating, the perfect accessory for a naturally beautiful body. With Just Nutritive, we tried a lot of products, and we loved every single one. It’s not just a cleanly beauty regimen; every recipe has a purpose and is handcrafted to ensure that the cheap art of mass production wouldn’t compromise any of the ingredients used in the making of these natural potions. Opening each bottle, you don’t get an overwhelming scent that lingers on your skin throughout the day, but you do smell the aroma of health and nature, and when it comes to beauty, that means less irritation and no harsh chemicals. Using Just Nutritive hair and skincare, you’ll finally be able to naturally tame your beauty concerns, treat problems at the source, and just feel a better sense of well-being overall.